Earlier, we reported that Econet issued a notice in the Zimbabwean newspapers today advising that it will terminate interconnection services to NetOne today following the “repudiation of interconnection agreement by NetOne”. Below is the full text of the notice as published in the Herald. We have contacted both NetOne and POTRAZ to get a comment on the development and we’re still to get a response from the two organisations. So far it looks Econet has indeed switch off the interconnection as we are failing to get through to any NetOne mobile phone numbers right now. 1. ECONET advises its valued subscribers and those of NETONE that has unequivocally repudiated its interconnection agreement with ECONET. As a direct result of the repudiation, Econet regrets that from Thursday, 23 August 2012, it will have no choice but to terminate all interconnection services it was providing to NETONE under the repudiated agreement. The regrettable effect of this irresponsible decision taken by NETONE on subscribers is that no calls will be possible originating from NETONE and terminating directly onto ECONET as well as calls originating from ECONET and terminating directly into NETONE. 2. Telecommunication networks interconnect to one another domestically and internationally. When two networks want to interconnect to one another, they enter into an agreement known throughout the world as an INTERCONNECTION AGREEMENT. The key to such an agreement is the mutually agreed cost of terminating a call on each other’s network. In Zimbabwe, the telecommunications regulator (POTRAZ), regulates the cost of terminating domestic and international calls. These rates are 7 cents per minute for a domestic call and 20 cents per minute for an international call. NETONE and ECONET have had an agreement for domestic traffic termination between them for many years. Each of the operators normally charge its customers 23 cents per minute (including 15% VAT) for a call to each other’s network and is supposed to pay the other operator 7 cents per minute whilst keeping to itself 16 cents. 4. Other than during promotional periods, NETONE has been charging tariffs of above 20 cents per minute on NETONE to ECONET calls. Of those 20 cents, 7 cents were supposed to be paid over to Econet. Therefore, for NETONE to accumulate a debt to Econet of $20 million, it must have billed in excess of $58 million to those of its subscribers calling ECONET subscribers. In the circumstances, the failure to pass on an amount collected from its subscribers is not only irresponsible but also borders on dishonesty to ECONET and NETONE’s own subscribers. In order to find a lasting solution to what appeared to be a cash flow problem on the part of NETONE, its management was met all levels and at each meeting payment proposals were tabled without any dispute being raised on the validity or otherwise of the INTERCONNECTION AGREEMENT. 5. When it became obvious that NETONE was not prepared to honour its obligations under the agreement, ECONET engaged both the Regulator, POTRAZ, and relevant government ministries including the ministry of Transport, Communications and Infrastructural Development and the Ministry of Finance in the hope that they would be in a position to intervene to ensure that NETONE honours its obligations, particularly as NETONE collects the fees due to ECONET from its subscribers but does not pass these on to ECONET. The Zimbabwe Revenue Authority (ZIMRA) was also approached by ECONET requesting that VAT on this agreement be paid on a cash collected basis as currently ECONET is obliged to remit VAT to ZIMRA on invoices to NETONE without having received payment from NETONE. None of these approaches yielded any positive results and the current position is that ECONET continues to provide services to NETONE, remits VAT to ZIMRA for amounts collected by NETONE but not passed to ECONET. It must be pointed out that at no time during all these interactions did NETONE deny that it owes ECONET and indeed it made various repayment proposals that it did not honour. 6. In July 2010 ECONET’s lawyers issued summons for the recovery of the sum of US$9,334,938.85 that was due from NETONE as at 10th May 2010 and that matter is pending in court. 7. In June 2012 NETONE advised ECONET that in so far as it was concerned, there was no INTERCONNECTION AGREEMENT between it and ECONET and that it therefore did not owe ECONET. 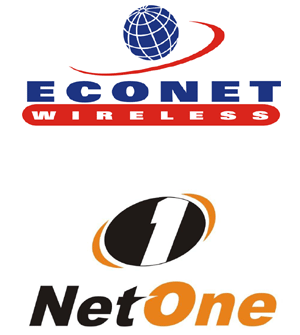 Following exchanges of correspondence, NETONE once again wrote to ECONET on 3 August, 2012 stating that “….NetOne has no obligations due to Econet with regards to interconnection fees because it has no interconnection agreement in place with yourselves…” ECONET considered this communication as repudiation of the agreement and on 17 August 2012 formally advised NETONE that it accepted the repudiation and it would withdraw all services that were being extended in terms of the agreement it had repudiated. 8. ECONET regrets any inconvenience that subscribers will suffer as a result of the termination of services due to NETONE’s unequivocal repudiation of that INTERCONNECTION AGREEMENT. ECONET has thousands of shareholders including pension funds to whom it owes a duty to conduct its business prudently. ECONET, as a public company, has a duty to safeguard the interests of the investing public and it has patiently allowed NETONE to disregard its financial obligations for a period of more than three years and it cannot afford ‘free’ services to NETONE in perpetuity. 9. ECONET shall remain ready to reconnect NETONE if NETONE commits to the terms of the existing INTERCONNECTION AGREEMENT, makes a substantial payment towards the historical debt, and commits to meet future obligations on due date. you will connect them back whether it is right or wrong business-wise. mark my words. usatambe ne potraz iwe! There is a reason why when someone says “I will Zimbabwe you” or “He did a “Zimbabwe”” it means something. Potraz is the big brother of Netone. Could there be anyone in a position to know why Netone are being so arrogant about this issue? how is it possible that NetOne can suddenly claim there is no agreement, was the agreement verbal/gentleman’s agreement? surely there must be a document that legally binds both parties to the deal. what am i missing? I’m not particularly fond of Econet but I approve this message! Matter of fact, what the huec were they thinking allowing the situation to go on for three years, paying taxes n all!? I would expect Netone, as a state-owned entity, to be at the forefront of financial prudence and more sensitive about national development than waste money paying a private company US$2,8 million for no reason. It’s stupid! it’s unpatriotic and unZimbabwean. Heck, its unAmerican! Lol, just to be clear I wasn’t criticising the payment of taxes – it is right and proper; I was merely referencing eco’s statement about paying VAT on funds not received for years on end. There’s obviously a whole lot of other stuff to consider but overall I view this decisive action by whackonet positively. This is just a symptom of a bigger problem. Parastatals are not autonomous. The worst top-job you could ever get is heading a parastatal like NetOne. Even if you had the best possible traits, qualifications and experience, you are really not in control. The failure to pay is certainly not because NetOne cannot make money. How can a state-owned company, Netone, pay Econet US$1,8 million for non-existent interconnection fees when there is no INTERCONNECTION AGREEMENT? How could that happen? unacceptable. Heads must roll. It is ridiculous for Netone to fund Econet’s operations when even Telone could use the money. We shall see if anyone will ever be fired from Netone for this extravangance. sorry, what are you really trying to say? sorry guys, who is this Prosper Chikomo and what is he talking about?, have you read and understtod before commenting?..sounds to me like you are further bashing Econet are you?, which would be a total shocker! You obviously did not even read the article. So to avoid coming back to answer your questions, i will make it so obvious to you. In the article, Econet says it was paid US$2,8 million by Netone for interconnection between 2009 and 2010. Netone paid that money. If there is no interconnection agreement between Netone and Econet as Netone says, then why did Netone, a state-owned company, pay Econet US$2,8 million, for interconnection when it has no interconnection agreement with Econet? That in itself shows that Netone abused state funds (as a parastatal), paying Econet US$2,8 million for non-existent services. it could be a sign of bigger and deeper mismanagement running even into hunmdreds of millions of dollars, or even exceeding US$1 billion. Who knows the extent of this payment of non-existent services by netone, and not just to Econet? Netone should not pay if there wass no agreement.If econet indeed did not renew the interconnect agreement after 2007 then they have no right to ask for money from netone, rather they must reimburse netone for the money it paid them.I don’t understand why econet is bothering netone maybe there is a sinister motive.Netone should just not cough up a single cent if there is no clear , binding , written agreement with econet. If ever there is one, then netone must pay provided that potraz had not suspended interconnect negotiations and had approved the fees.